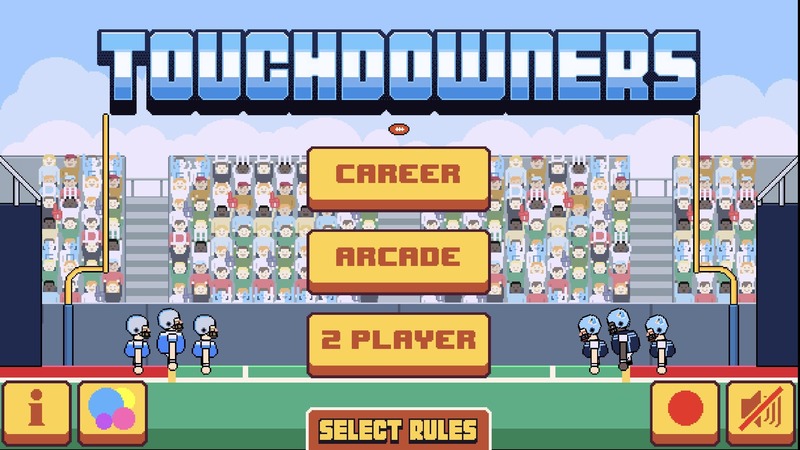 Based loosely on the sport of American Football, the object of Touchdowners is to touch the football down at the end zone opposite of your starting position. It may sound simple enough, but it takes a little more finesse than you may imagine. 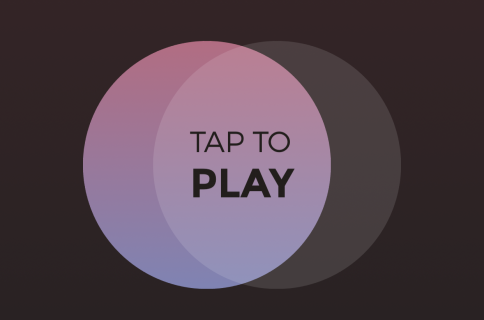 As previously mentioned, the actual gameplay of Touchdowners is relatively simple. The controls consist of three buttons: forward, backward, and pass. The forward and backward buttons control arm rotation and movement. 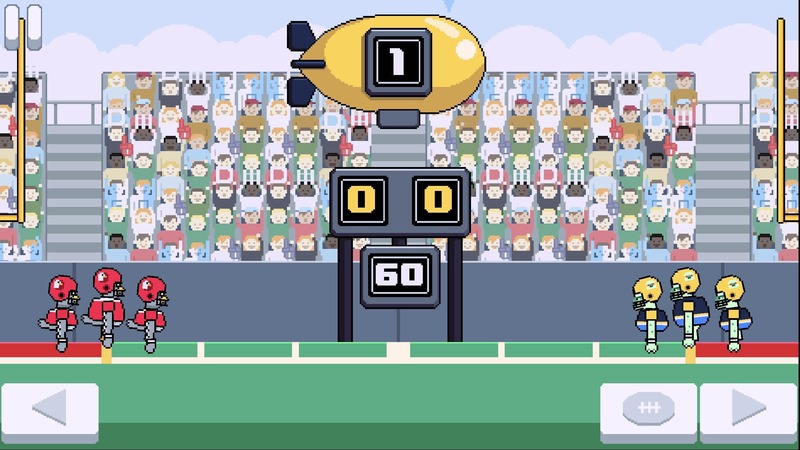 By tapping these buttons to position your three players, you can manipulate the ball in order to touch it down in the end zone opposite of your starting position. The pass button adds another wrinkle into the gameplay by allowing you to throw the ball across the screen at the angle at which your player’s arm is facing. This really amps up the crazy factor when playing, and adds another level of fun. The standard gameplay is enjoyable, and you can play it in three unique modes: Career, Arcade, and 2 Player. The career mode is where I spent most of my time during my usage, and it is quite enjoyable. It is split into two categories: Bowls and League. In Bowls, you progress through three different bowls and their different sets of CPU opponents to win the trophy. League involves a series of ten games against CPU opponents in which your wins, losses, and ties are tallied to determine the league winner. In Arcade mode, you attempt to score as many points as possible before allowing your CPU opponent to score. The app keeps track of your high score, and I found it enjoyable continually trying to beat my high score. The 2 Player mode sounds interesting in theory, but in practice it is clunky and difficult to use. The controls are doubled to allow for two players, but on a small iPhone display, the experience is extreme cramped while handling two sets of hands. It is much more practical on the larger display of an iPad, but I still found myself primarily preoccupied with the single player modes. There are a few options to toggle as you please, but none of these alter the design of the app. While aesthetic taste is quite subjective, I found the retro style attractive and enjoyable, so I did not take issue with there being no options pertaining to this. One major option can be seen on the above screenshot as Select Rules. Here you can choose between the Touchdowners setting or the Classic setting. 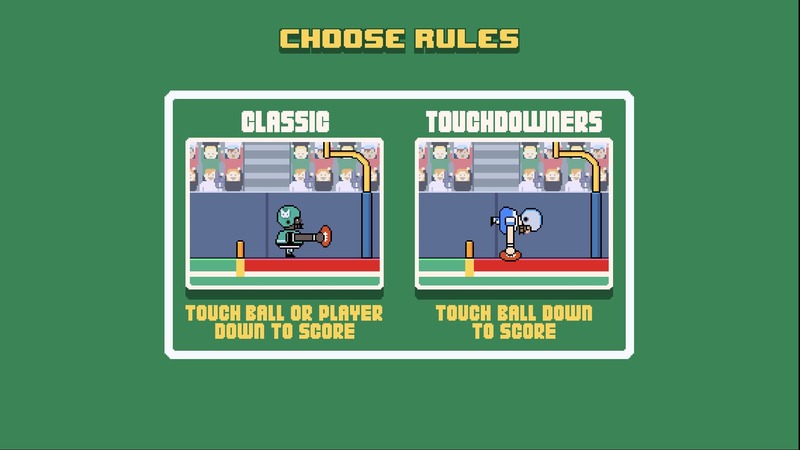 The Touchdowners setting requires you to touch the ball to the ground in the end zone as mentioned above, and this is the default mode as well as the mode I would recommend. The Classic setting only requires your player to stand in the end zone while holding the ball to score. The other available options are a toggle to turn the sound of the app on or off, an option to allow screen recording, and a $1.99 in-app purchase to remove advertisements. 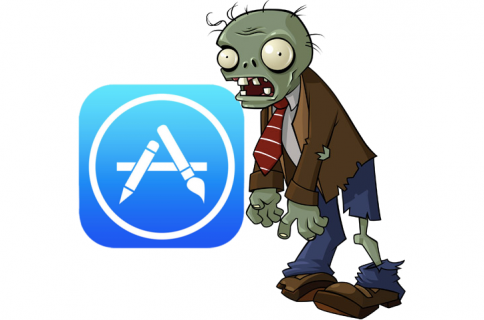 The ads within the app have not been distracting or obtrusive in my use, so while it is up to your personal taste, I say the IAP is not necessary for those who do not want to spend the money. In all, if you are looking for a new interesting game to add to your iOS device, Touchdowners is definitely worth a download. 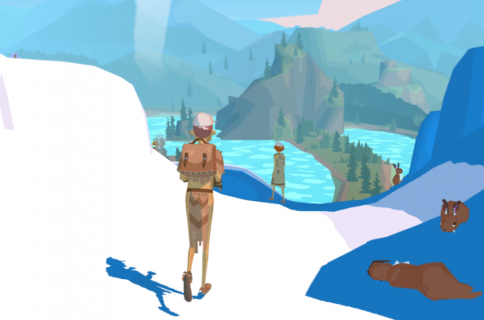 Everyone has different tastes and not everyone will enjoy it, but I have really enjoyed my time testing this interesting game. Touchdowners is available as a free download on the App Store. Are you going to give Touchdowners a try? Let us know in the comments.